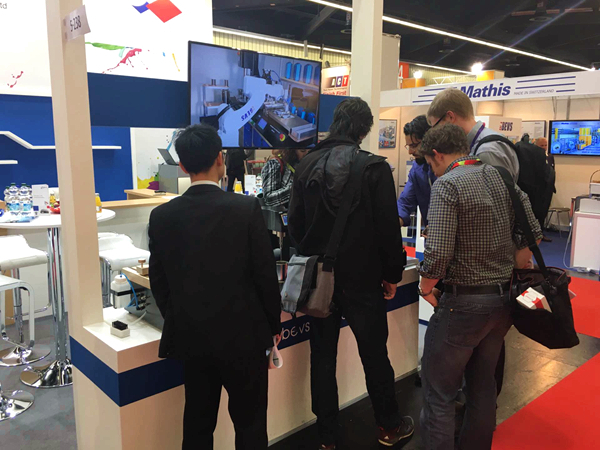 There’s no doubt that 2017 ESC(European Coating Show) is a thriving platform for high-tech coatings industries. 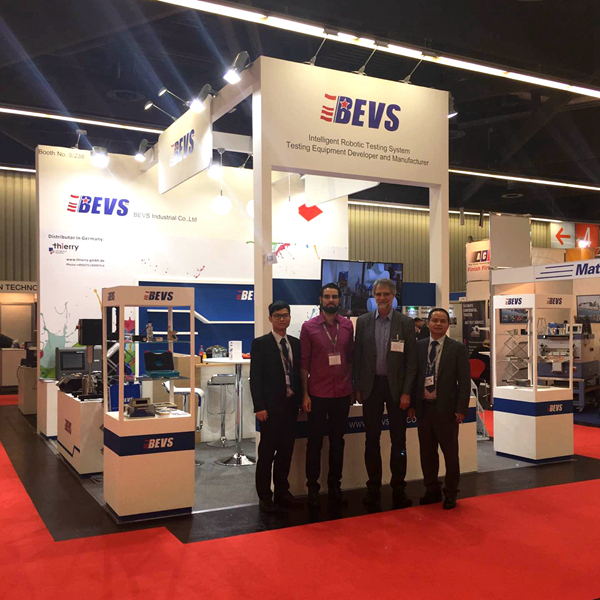 We firstly joined European Coating Show as a new crew in 2015, among these two years we have already developed a certain stable partners in Europe, we are thankful as we really did gain a lot and learn a lot more in these miraculous place. 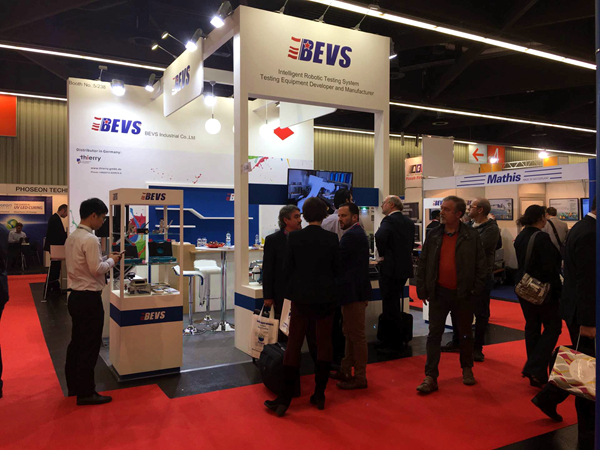 We can see the influence of BEVS is developing much faster than we can imagine, dealers from France, Romania and other countries visited BEVS stand and deeply discussing further cooperation. Italian agents showed great interest with BEVS products and wanted to be their local dealer as well. The willingness of business cooperation increase 50% than in the same period last year. 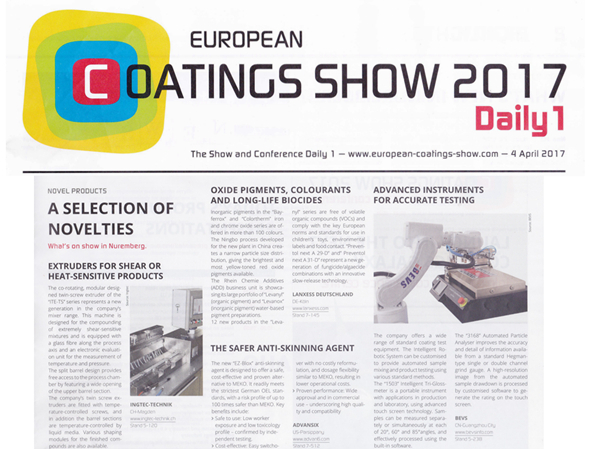 Meanwhile, ECS Daily (European Coating Show Daily), the most famous media in local coatings industrial published our advanced Intelligent Robotic Testing and Inspection System with an extensive coverage. 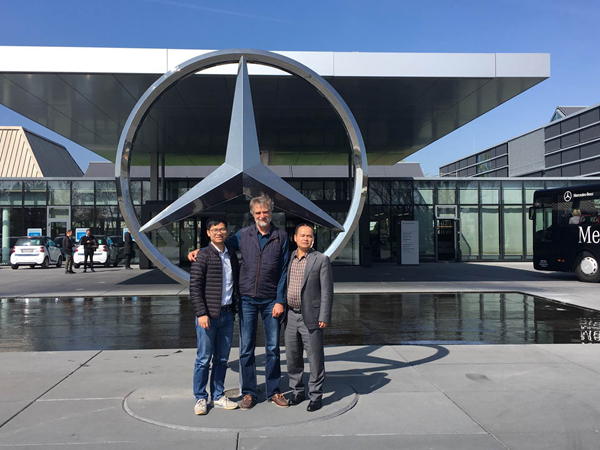 It's kind of rare that a company from China appeared on the paper, and it proved a great success that BEVS have within these years. We are grateful for what we have achieved, but will never be conceited, as we know there is still a long way to become dream come true. 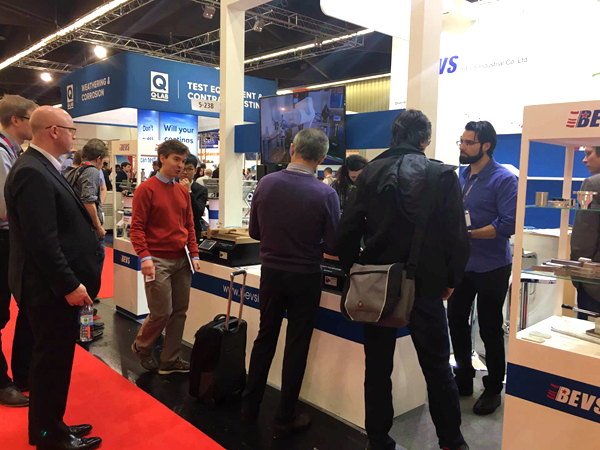 We could not hold the show in such a successful way without the help from our German agent Thierry, they gave us plenty excellent advices in exhibition arrangement and sales plan, and helped us out in many aspects during the show as well. Thierry is a well-known and competitive company in the European industrial, founded in Germany filling a growing need for high quality color standards in the automotive industry, therefore, the cooperation with them can make BEVS more easily to involve in the automotive industry, and can absolutely speed up our development in Europe market! With so many reasons, you can look forward to our level rising to a new height in the next ECS!